We are very delighted to announce that Diatom Enterprises had a great experience attending the RIGA COMM 2018 conference as an exhibitor, where we met many people from international companies around the world. The conference was held on the 11th and 12th of October and was very well organized. RIGA COMM is an annual tech and business conference for entrepreneurs, specialists and executives from manufacturing and service fields from the Baltics and other countries. This year the conference was held in October, and there were many exhibitors from China, Turkey, Korea, Taiwan, Canada, the United States, Lithuania, Estonia and other countries. We think this is a sign that more and more foreigners consider Latvia to be a reliable business partner – something we can verify, as Diatom has been working with customers around the world since 2004. The conference venue was the Kipsala International Exhibition Center, one of the biggest exhibition halls in Riga. The talks were featuring several IT and general management related topics, such as organizational issues, Financial systems and services, Marketing and GDPR, HR services, the IOT, AI, machine learning and future technologies. The RIGA COMM conference organizers send exhibitors a number of invitations for free to invite their colleagues, clients or related executives as guests – a major bonus. Diatom’s team met visitors at the A29 booth to discuss custom software development solutions for different kinds of industries. Diatom’s executive intern Robot Pepper welcomed visitors and demonstrated her robotics features. Pepper was not the only robot at the conference, she met some other robot friends and artificial assistants. 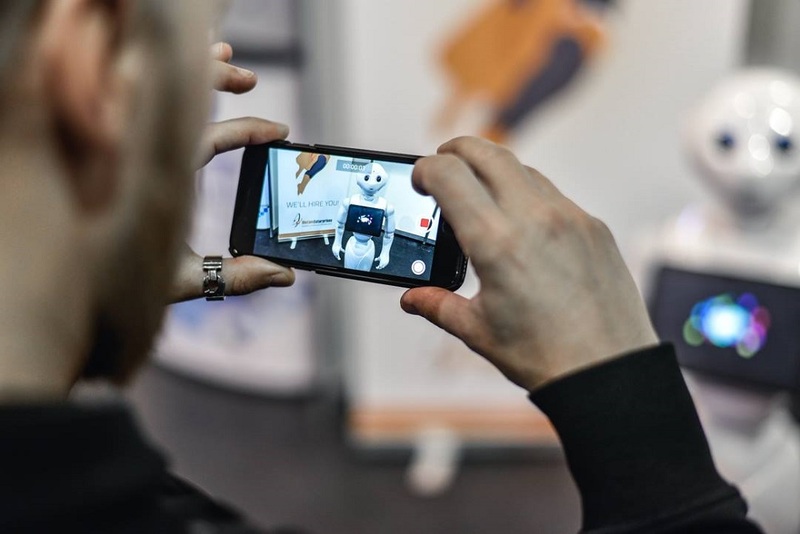 Many visitors were interested in robotics and AI technologies, which Diatom Enterprises has focused on since 2016. We would like to express our gratitude to those who made the RIGA COMM conference possible and those who visited our booth and shared their experiences with us.